On February 14, 2012, Arizona will celebrate its hundredth anniversary as a state. To help commemorate Arizona's centennial milestone a comprehensive plan was established. An integral part of the plan has been the creation of legacy projects through which the amazing history of Arizona can be told, better understood, and appreciated. 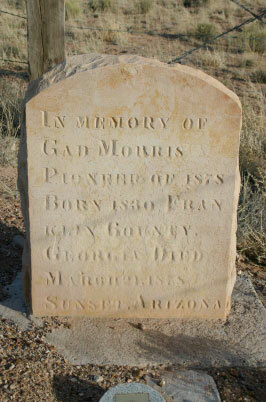 One of the legacy projects is the Inventory of Arizona Historic Cemeteries (IAHC). The State Historic Preservation Office (SHPO), in conjunction with the Pioneers' Cemetery Association (PCA) and volunteers from a number of agencies and organizations, will create an inventory of historic cemeteries throughout the state. This will serve as an important step in the preservation of these important places. The IAHC was officially accepted as an Arizona Statehood Centennial Project on February 28, 2008. The IAHC project requires no in-depth study or analysis of any cemetery, or its gravestones, and no tracings of rubbings of any individual headstones are encouraged. Photographs are recommended as an excellent way to document a cemetery and can be submitted with the IAHC Form. Because ARS § 42-11110 exempts cemeteries from property taxation, the form asks for the tax parcel number. To qualify for tax exemption an exemption form has to be filed with the County Assessor in the county where the cemetery is located. At this time, the project is not seeking detailed information such as the name associated with each burial. Permission to access cemeteries on government, tribal, and private land must be obtained from the governing entity prior to entry. These instructions are intended to assist volunteers complete the IAHC Forms. The datasheets request information concerning 25 different research variables consecutively numbered Item 1-25,and essentially pertain to five categories of information: 1) property identification, 2) contact information, 3) gravestone description, 4) photographs and 5) recorder information. The Continuation Sheet provides additional space for elaborating on Items 1-25. It also allows the opportunity to include cemetery maps, sketches, photographs, etc. Each Continuation Sheet should be numbered and contain the name of the cemetery being recorded. The Pioneer Cemetery Association (PCA) is a non-profit organization headquartered in the historic Smurthwaite House at 1317 W. Jefferson Street. The PCA is a dedicated volunteer association of amateurs and professionals bound together by the common purpose of historic cemetery protection, preservation, research, and education. Special thanks go to Diane Sumrall (IAHC Maricopa County Coordinator) and James B. Rodgers (Archeologist) for developing the instructions for the Historic Property Inventory Form. The PCA can be contacted at pioneercem(at)yahoo.com or (602) 534-1262. 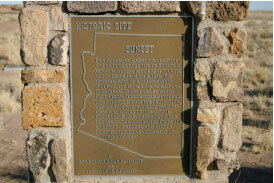 The State Historic Preservation Office (SHPO) is Arizona's official repository for information on historic resources. The SHPO can be contacted at AZStateParks.com or (602) 542-4009. Historical cemeteries are important to families and communities. This importance has been recognized in state legislation. They are the final resting place of our ancestors. They have religious, cultural, and research values. Obtain permission to be on the land from the landowner. Follow specific rules established by the cemetery. Report damage and/or vandalism to the landowner and/or local law enforcement. Take photographs and make sketches rather than rubbings. Stand on, remove, move, deface, damage, handle, or tamper with any of the grave markers, fences, rock outlines, graves, or cemetery architecture. These activities may result in criminal violations under Arizona Revised Statutes 13-1604; 13-1802; 41-865 and/or civil violations under § A.R.S. 41-856; 41-841 to 41-846. Clean gravestones without following prior evaluations, recommendations, and preservation plans completed by professional conservators. Make chalk or charcoal rubbings of gravestones. Weed, dig, or plant without permission of the landowner.